MEXICO CITY, Mexico — More than 500 PathwayConnect and Brigham Young University-Idaho online students, Church-service missionaries, and local ecclesiastical leaders met on August 17 for a BYU-Idaho Connections Conference entitled “The Power of Gathering.” Participants gathered in Mexico City and in 52 remote locations. 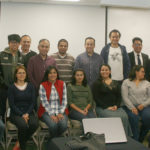 “With the help of area Church leaders, Self-Reliance Services, and our network of online students, this is just one example of how we can collaborate to fulfill President Gilbert’s inaugural charge ‘to amplify opportunities for local gathering in centers of strength around the world,’” said Nathanael Adams, Pathway area manager for Mexico. 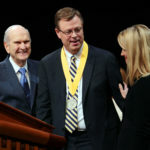 Those who attended the conference had the opportunity to hear from BYU-Idaho President Clark G. Gilbert, Mexico Area President Paul B. Pieper, and Elder Netza Salinas of the Fourth Quorum of the Seventy. The speakers shared principles that students can use to achieve their professional and personal potential. Participants also separated into breakout workshops, which focused on interviewing skills, career preparation, and Self-Reliance Services (SRS) opportunities. The SRS breakout sessions centered on the benefits of group-based 12-week courses offered at each stake center. 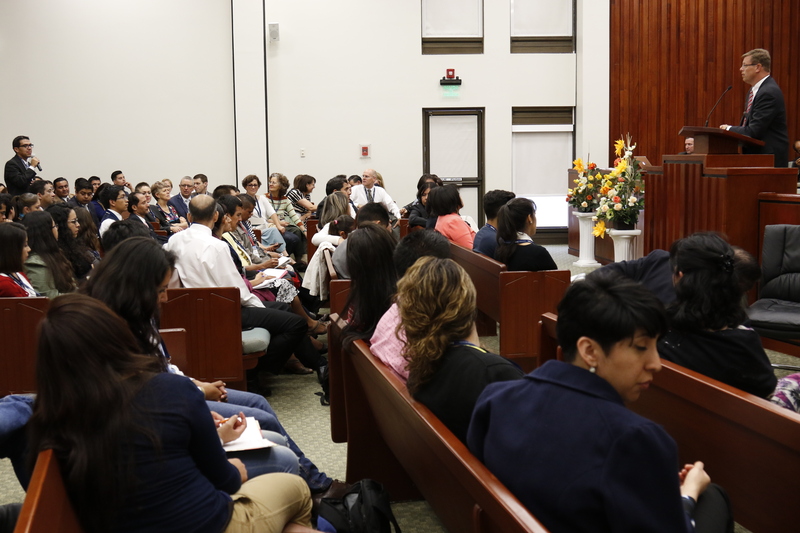 The sessions focused on topics such as; “How to Start and Grow My Own Business,” “My Job Search,” and “Education for Better Work.” Overall, more than 42,000 Church members in Mexico have enrolled in SRS programs. Stephanie Hernandez, a current BYU-Idaho online student, attended the conference and was grateful for the inspired words of those who spoke. BYU-Idaho is looking to host similar conferences in other locations. 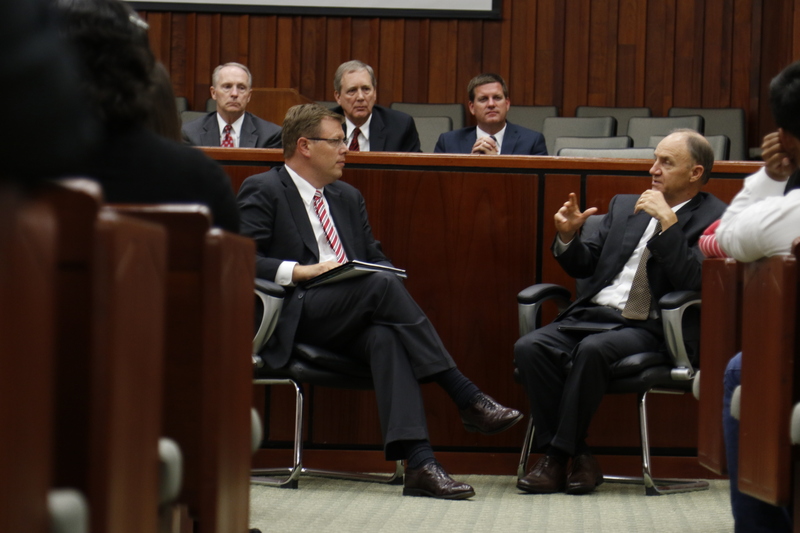 BYU-Idaho President Clark G. Gilbert, and Mexico Area President Paul B. Pieper, address the conference participants. More than 250 students attended the Mexico City Connections Conference in person. Other participants viewed the conference from 52 different locations throughout Mexico.